What’s the benefit of a 15 inch laptop over other sizes? 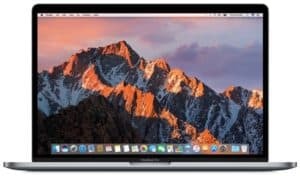 How much do I really need to spend on a 15 inch laptop? 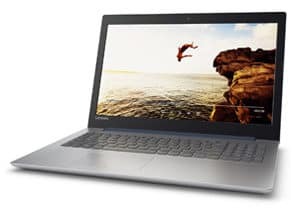 What features should I be looking for in a new laptop? Portable computers may be shrinking in size with each generation of hardware, but the reliable old 15 inch laptop remains a staple of the computer industry. No matter what specs or design you need, we’ve found five of the best 15 inch laptops you should put on the top of your wishlist! 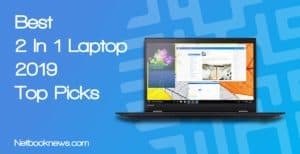 Before buying a new portable computer, be sure to look at all the different models available across a wide range of brands. Your options are wide open for nearly any style or usage when looking at full sized laptops. With more room to pack in features, manufacturers focus on high end, quality builds with their 15 inch models. You can find a surprising number of features for reasonable prices if you do a little digging (or let us do it for you). Traditional clamshell machines for business, 2-in-1 touch screens for school or home projects, and VR ready rigs are all up for grabs here. Ready to see what’s available? 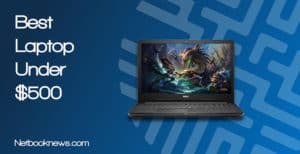 Let’s take a look at the five best 15 inch laptops currently available, from budget options to high end gaming machines and everything in between! In 2018, three 15 inch laptops stand out from the rest of the crowd depending on the needs of each individual user. 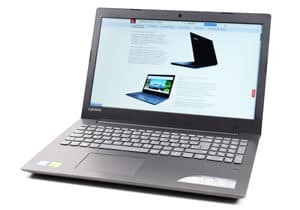 If you want a top-notch portable computer for the lowest possible price, the Lenovo 320 IdeaPad easily outclasses all other budget options. 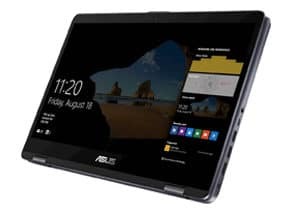 For those willing to spend more and who want a hybrid touch screen model, one of your best possible picks will instead be the Asus VivoBook. Finally, for the gamers, absolutely nothing beats the blazing speeds of the Acer Predator Triton 700. Don’t care about getting a touch screen? If you want plenty of power but don’t want to spend much money, this IdeaPad should easily be your top pick! Normally a sub-$500 laptop will take a major hit on the specs, but Lenovo offers a high end machine at a budget price. 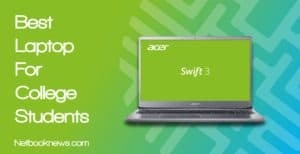 With 8GB of RAM and a quad core processor, you won’t run into lag while browsing the web or typing up documents. The biggest draw is easily the solid state drive, which offers much faster boot up speeds and data transfer. You also still get an optical drive, which is a huge plus for those still used to having a DVD burner on the side. Most devices these days are going the touch screen route or have a hybrid hinge design. That’s the only feature you lose out on with this IdeaPad, as there has to be a trade off to reach such a low price. Buyers generally leave overwhelmingly positive reviews for this model, but there is a potential issue to look out for before buying. Despite being a full size 15” laptop, the keyboard utilizes a more compact design. There are no dedicated F1 – F12 keys, and the Page Up and Page Down keys are reduced in size to sit in one position. Are you in love with the 2-in-1 hybrid design but want to get cutting edge specs as well? This should easily be your top pick for the best 15.6 inch laptop! 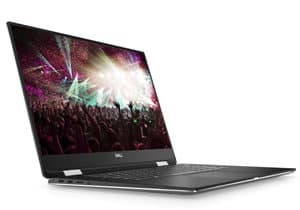 Dell’s new XPS 15 is unquestionably the most top-of-the-line hybrid machine available on the market right now. It comes with a premium price, however, so be ready to take a serious hit on your bank account! For that high asking price you get a cutting edge 8th gen processor, a full 16GB of memory, and a spacious 512GB solid state drive for storing data. It doesn’t skimp on the touch screen functionality, either. The XPS 15 features an extremely tiny bezel so you get the most viewing area and touch screen space. This model also sports a redesigned magnetic keyboard that’s significantly thinner than other 15 inch models. There are a few potential downsides to consider before going this route. While you get 2 USB ports and a card reader, there’s no HDMI port on this machine for connecting to external displays. Because of the tiny bezel, the webcam is also at the bottom of the screen, which isn’t an ideal position for video chatting. Want to still get a high end 2-in-1 experience but save about a thousand dollars? The HP Spectre x360 is another hybrid laptop we highly recommend. The processor in the Spectre is slightly slower — although at these speeds you likely won’t notice — but the webcam is positioned at the top. 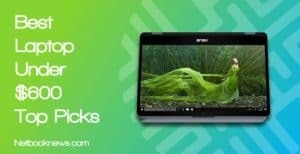 Want a top quality portable computer without breaking the bank? This should be your pick if you can’t go north of a grand! 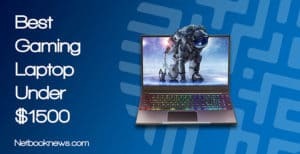 When you start to approach the full $1,000 mark, you want to get an amazing laptop that’s loaded with extra features. In terms of hardware specs, the Asus VivoBook more than delivers. 16GB of RAM, an 8th gen processor, and a dedicated graphics card are an amazing combo that will let you run pretty much anything. You get both an SSD for faster operating system boot up, as well as a secondary HDD for saving large files. This is even a 2-in-1 touch screen model, so you get the best of all worlds. Finally, the VivoBook even has a full 10 key section, which is somewhat rare for a hybrid device. There are really only two downsides here that are mentioned frequently by buyers. First off, the power button is on the left side (which it can be accidentally bumped), rather than above the keyboard. Second, this particular model is more difficult to crack open and upgrade than many other laptops. If you don’t ever intend to add in more RAM then that won’t be a concern, however. Don’t need a touch screen or 2-in-1 design? The Dell G3579 offers similar specs but without the touch display feature. 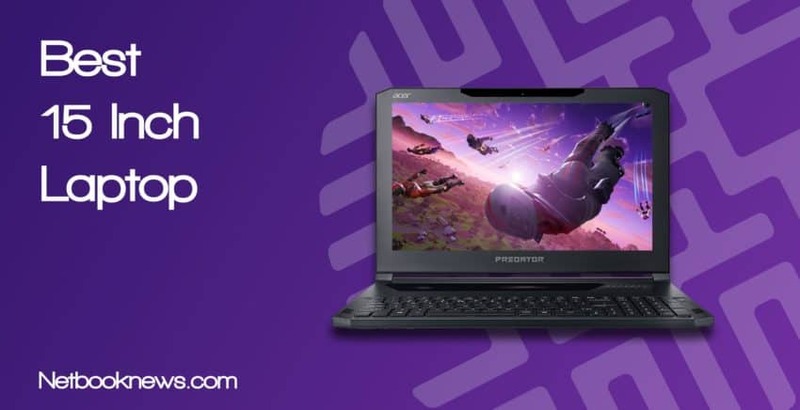 Want the absolute best gaming experience currently available in any 15 inch laptop? This should be your pick, if you don’t mind dropping two-and-a-half thousand dollars! Looking for a gaming laptop that’s absolutely bleeding edge and future proofed against increasing hardware demands? Acer’s Predator Triton is pretty much anything you could ever ask for in a laptop for playing games. Beyond just VR ready, this is one of the best gaming machines you can buy in any size or form factor! The specs pretty well speak for themselves, and you won’t currently find a better graphics card in any laptop on the market. The Triton features a mechanical backlit keyboard so you still get the full desktop gaming rig experience in a portable form. Despite the small size, a full array of ports are available like you’d expect from a business class machine. If you prefer a larger monitor or better sounds, it’s simple to hook up to external displays or connect a speaker set. A large part of the price (which is very high) is due to the extremely thin profile. For portability that’s an excellent feature, but it does come with a downside. Unfortunately, there’s no secondary HDD for file storage like you’d find with many other models. One other issue plagues this model that is a recurring problem in all high end gaming machines. The GTX 1080 and 32GB RAM combo will greedily consume all the power you can throw at it, so be prepared to always be plugged in while gaming. While unplugged, you can expect two hours or less of battery time. 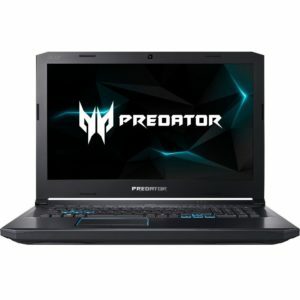 At over a thousand dollars cheaper, the Acer Predator Helios 300 is another great option, although you drop down to 16GB of RAM and a GTX 1060. Even with half the RAM and a lower end graphics card, the Predator can still run any AAA game at ultra settings. It isn’t quite as “future proof” though, and will give you slower speeds on VR games. Want a Mac OS laptop with absolutely top-notch specs and a few extra bells and whistles? This should be your pick for the best 15 inch laptop. You didn’t really think we forgot about the Apple crowd, did you? Right now, the MacBook Pro with a touch bar is one of the best 15 inch laptops available if you don’t prefer the Windows OS. While the specs are topnotch, what sets this model apart is the touch bar. This nifty little strip of glass lights up with different options depending on what app you are using, and it really is innovative. Besides the amazingly bright retina display, this model also boasts all-day battery life, so you only have to charge once during a work day. There’s really only two downsides to keep in mind before going with a MacBook, and they are peculiar designs particular to Apple. This unit has four ports, but they are Thunderbolt ports.That means you are going to need a multi-port adapter if you are using regular USB devices. Finally, this unit specifically isn’t meant for upgrading, so you won’t ever be able to go above 16GB of DDR3 RAM. Notebook computers come in a stunning array of shapes and sizes these days. Starting as low as 10 inches in some cases, ultraportable and incredibly thin laptops are usually found up to 14 inches wide. So why pick a normal, full sized laptop? While you lose out on some of the extra portability, there are features you get back in return. Notably, 15 inch laptops are usually where you will still find optical drives included. That’s a dying feature in the mobile computer world, but some users aren’t quite ready to give them up yet. A larger chassis also means there’s more room to pack in extra components. The larger you get, the more hardware a manufacturer can squeeze into the case. That’s particularly important if you want a dedicated graphics card, which isn’t usually found in smaller devices. As hardware becomes more powerful and the pricing drops, the lines between laptop sizes are starting to blur, however. In many cases, you can find 13 or 14 inch laptops that weigh significantly less but still have the same specs as their 15 inch counterparts. With hundreds of laptop options available online, you shouldn’t ever settle for the first computer you come across while shopping. No matter what your budget, you can probably find a laptop at this size range to fit your needs. Exactly how much to spend depends on how you specifically intend to use your computer. For serious gamers who want top of the line graphics, you can expect a thousand dollars to be your bottom end baseline. If you crave specific cutting edge features, the cost can go way up from there. If you mostly browse the web, send emails, and put together word docs or spreadsheets, you don’t need to spend nearly that amount. There are plenty of quality laptops in the $400 – $700 range that will work perfectly. The main reason to spend more is to get additional features beyond a bare bones machine. In general, if you want a hybrid 2-in-1 touch screen, you will have to bump up the starting price. At this point, 4GB of RAM is essentially the minimum you will find in a new machine. That will lead to slow downs when you are running multiple tabs and programs at once, however. For the best computing experience, we recommend at least 8GB of memory and an 8th gen processor whenever possible. If you want to do anything more than just casual gaming, be sure to also look out for a dedicated graphics card. After the specs, take into account any features that could change your buying decision. Even though they all have the same screen size, laptops at this size can have vastly different screen resolutions. For the best viewing experience, you want a screen with 1920 x 1080 resolution or higher. Be sure to also consider if you need a touch screen or want to stick with the tried and true clamshell style laptop. These five contenders should have clearly shown that you can find a very wide range of product types that are all the same general size! Which of our picks for the best 15 inch laptop is going to work for you? Let us know which model you think is best, and be sure to leave a comment if you’ve seen any better machines we missed! More: Size matters! Check out our best collection of best laptop pick by size.